just up the pike: see the lives of physical therapists at walter reed in "run, don't walk"
see the lives of physical therapists at walter reed in "run, don't walk"
Annoying commutes, scribbled-down phone messages, baked goods: it’s just another day in the office for Adele Levine. Her workplace is just like any other, except completely different. She’s a physical therapist at the Walter Reed Army Medical Center, tending to wounded veterans returning from America’s conflicts abroad. 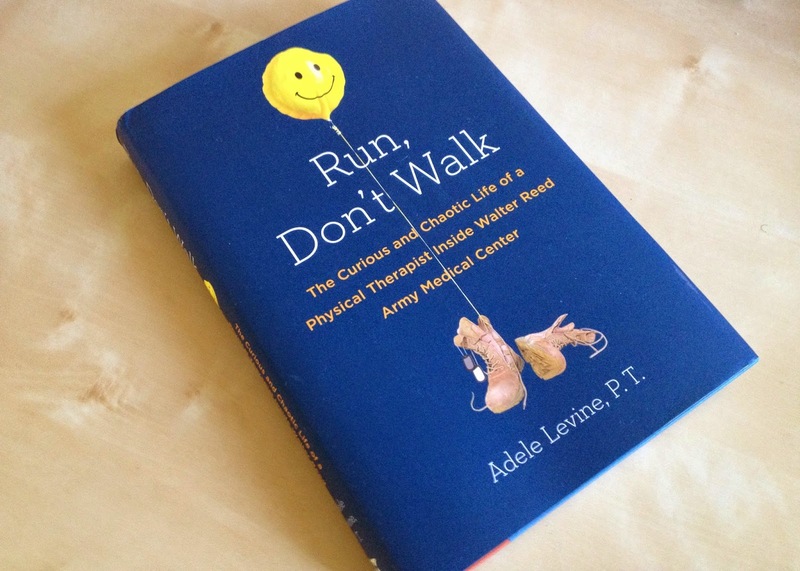 In her new memoir, Run, Don’t Walk: The Curious and Chaotic Life of a Physical Therapist Inside Walter Reed Army Medical Center, published this April, the Wheaton resident describes the final days at the military hospital in Northwest DC before it closed in 2011 and relocated to Bethesda. (You might remember her blog Life in Scenic Wheaton, which often covered the same material before she pulled the plug in 2009.) Through a series of loosely-connected episodes, Levine takes us inside a place that at once feels very strange and very familiar. The real stars of the story are her patients, who carry not only physical scars but emotional ones as well. We spend a lot of time with Cosmo, a chain-smoking, foul-mouthed 22-year-old double amputee who sneaks off-campus shortly after arriving to catch a Metrobus downtown to see the White House. Levine doesn’t spare us any detail in describing their injuries or the long and disheartening path to recovery. She also doesn’t hesitate to illustrate the often surreal experience of working at the nation’s premier military hospital, where regular visitors include famous actors and openly weeping congressman. Levine notes that the job has given her a unique perspective on the outside world, which especially shows in her side gig doing physical therapy for well-heeled civilians in Chevy Chase. But Run, Don’t Walk is also a story about work, and all of the office politics that it entails. You don’t have to be a physical therapist in a military hospital to relate to stories about chatty coworkers or about half-baked office bonding activities, like one supervisor’s idea to take everyone on a day-long retreat at Mount Vernon. It’s also a story about Levine’s own personal transformation, one that parallels what she does with her patients. When the story opens, she’s a directionless twentysomething whose classmate in physical therapy school gave her a datebook after being late one too many times, and forced her to update it. We see her fall on her face a lot, whether it’s in trying to motivate soldiers who saw their best friends get blown up, or a spontaneous attempt to renovate her condo in a weekend that culminates in stealing a rug from Home Depot. But over time, Levine gains confidence in both her work and herself. It’s these stories, about Levine’s world outside the hospital, that left me wanting more. We catch fleeting glimpses of it, like her relationship with her ailing father, or a budding romance with the woman who’s now her partner, but only near the end of the book. I can imagine how easy it would be to write about being on the receiving end of the War on Terror and ending up with either 300 pages of snark and cynicism or a political rant. But Levine manages to take what could have been a very heavy, difficult read and make it accessible and often quite funny. Yet Run, Don’t Walk still is an emotionally resonant story about a woman tasked with repairing others who ended up fixing herself. 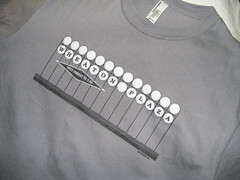 Does anyone remember the old "Army Section" in Wheaton? I believe it was Enlisted housing for Walter Reed, but I'm not sure. I moved from Wheaton to Boston, MA in 1974, and am trying to dig up some history on that housing section. I had many boyhood friends who lived there.